For one reason or another, you might want to download all your photos from Flick or Facebook to your computer. Either to have the backup or to migrate them to another photo sharing service online. Doing it manually is a time consuming task, so thats where Fotobounce is useful. 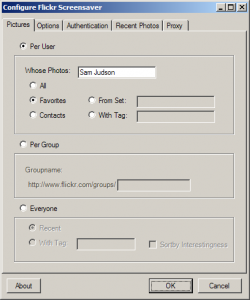 It is a free downloadable software, which lets you download all your photos from Facebook or Flickr at once. 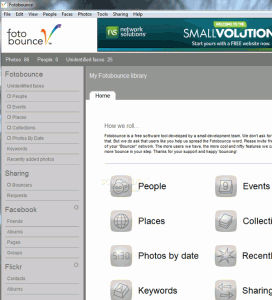 To download your photos from the web, install Fotobounce on your computer. 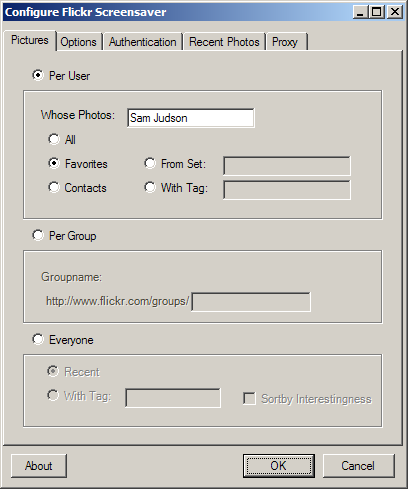 Run it and enter your Facebook and Flickr credentials to give the software access to your collections. You can either download individual albums one by one or all the photos at once. Apart from downloading, Fotobouncer is a great photo manager in itself, so you can later use it to organize and view your photos. The software is free but ad supported. Download photos from Facebook and Flickr to your computer by individual albums or all at once. Adobe air required to run the Fotobounce software. This screensaver uses the .Net Framework to get your photos from Flickr and display them as a screensaver for your viewing pleasure. It features the ability to select a wide array of photos, including your own, your contacts, your favourites or a from a group or global tag. 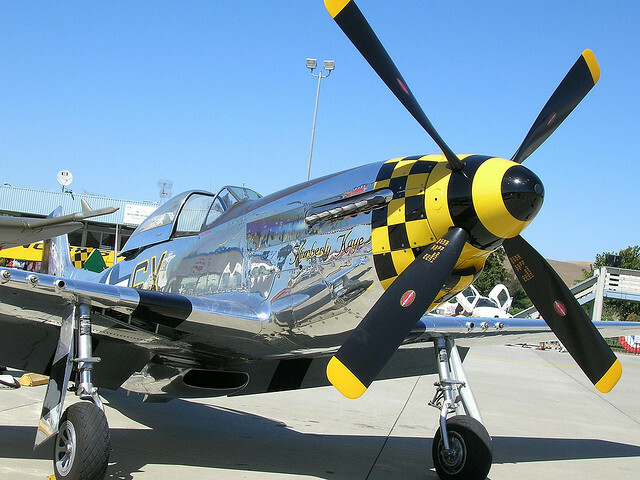 Developed exclusively by Sam Judson it is being released here in open source format with the intention of giving the code a complete overhaul, along with adding many new features. The current version runs on the .Net Framework 2.0. 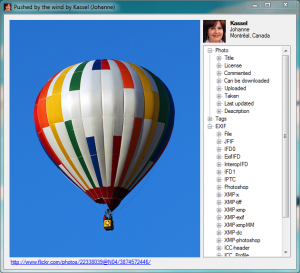 It uses GDI+ and Windows Forms to manipulate the images downloaded from Flickr. *Plain – Simply display the photo, with or without its title and author. *Postcard – gives the photo a coloured border and the ability to randomly rotate the image, giving a Polaroid/postcard look to the screensaver.